Glass cutting is one of the most fundamental skills in kilnforming. Imprecise glass cutting can affect not only the look and feel of your finished piece, but also lead to lots of wasted glass and wasted time. Quality tools make it easier to run smooth, accurate score lines, and create clean, consistent breaks. 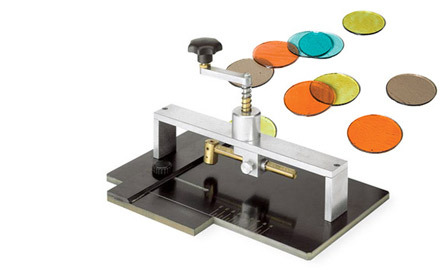 Below you will find the glass cutting and breaking tools that Bullseye artists and instructors use: handheld cutters, circle cutters, breaking pliers, grozing pliers, nippers, cutting systems, cutting accessories, and more. We’ve worked with these tools extensively. 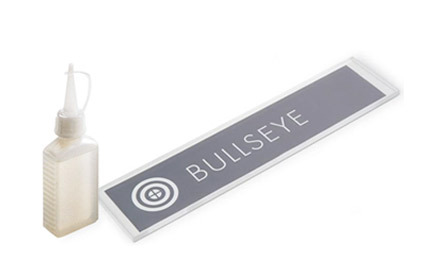 Tested tools from Bullseye make scoring and cutting glass a snap. 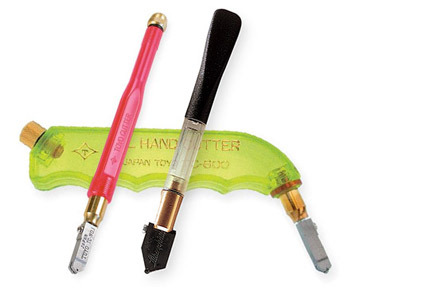 These are indispensible tools for every glass studio. These easy-to-use tools from Bohle make quick work of cutting accurate circles—large or small. 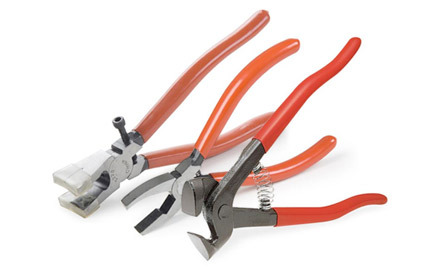 Get a great price on the tools tested and trusted by Bullseye, from running pliers or grozing pliers for sheet glass—or even billet—to glass nippers for rods and stringers. Everything you need for clean and accurate cutting. Save time and material with this elegantly simple yet powerful tool. 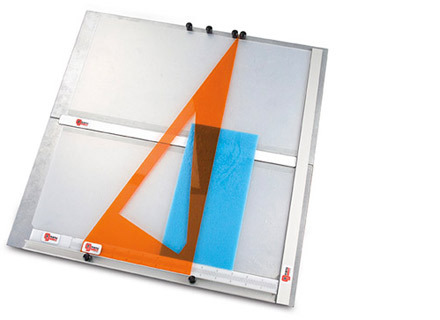 Developed by Rudi Gritsch, the G-Manu helps you make quick and accurate cuts of repeated shapes and patterns. Designed for either right- or left-handed use.